Submitted for your approval: a Twilight Zone reboot. CBS Corporation CEO Leslie Moonves confirmed on Thursday that CBS All Access is working on a refresh of the iconic sci-fi anthology series The Twilight Zone (via The Hollywood Reporter). Though it remains to be seen whether the project has been ordered straight to series or is simply in development, the outlet notes that Marco Ramirez, who has previously worked on the Netflix/Marvel collaborations The Defenders and Daredevil, will pen the potential series' script and serve as showrunner. Sources close to THR also indicate that the Twilight Zone reboot hails from Jordan Peele's Monkeypaw production banner. However, CBS All Access did not comment on Ramirez's or Peele's involvement, as official details about the project haven't yet been announced. That said, these statements should be taken as simply speculative at this point in time. 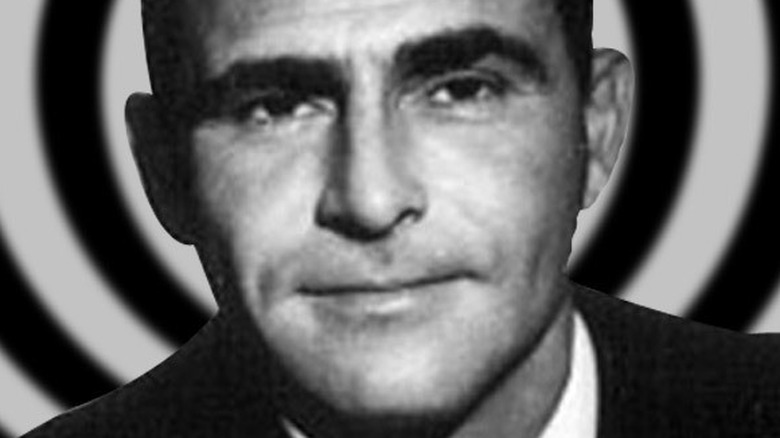 Created and hosted by Emmy Award-winner Rod Serling, The Twilight Zone, shot entirely in black and white, ran for five seasons on CBS from 1959 to 1964. The series saw two revivals: one that lasted from 1985 to 1989, and another that was more short-lived, running from 2002 to 2003. CBS even took a stab at reviving the show a third time in 2012, teaming with X-Men film franchise creative Bryan Singer to develop and executive produce (and possibly even direct) a new take on the cult classic. CBS Television Studios has held on to the rights to the original series throughout the years, and is on board to executive produce the refresh. If Jordan Peele is truly attached to the reboot, the project seems a perfect fit for him, as his breakout debut film Get Out has been described as a "queasy African-American version of The Twilight Zone."